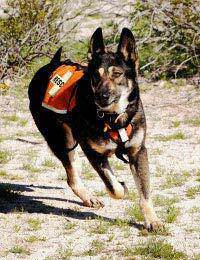 Some of the bravest dogs can be found working for the many search and rescue organisations. These highly trained dogs are taken, sometimes at a moment’s notice to countries around the world where their specialist training is used to find trapped and lost humans in highly dangerous areas. For search and rescue dogs that travel back to the UK from countries who are part of the pet travel scheme they will be treated no differently than the many thousands of pets that also make the same journeys each year. Search and Rescue dogs have to go through the rabies injections and blood tests before being able to apply for a pet passport. When coming back into the UK they have to undergo the same tapeworm and tick treatments and be scanned up-on entry on UK soil. For dogs that are taken out of the country to lay their lives on the ground in order to save people in countries that are not part of the pet travel scheme they then have to ensure six months quarantine upon returning to the UK. Imagine the distress of these dogs that are used to being worked and are highly trained in situations that are both dangerous and rewarding to then have to be incarcerated for six months of their lives away from the freedom they are used to and the love of their owners. Search and rescue organisations have campaigned the government relentlessly to try to shorten the quarantine period for their dogs. Even the request for a one month quarantine period followed by home confinement has so far been rejected. Handlers are having to visit the quarantine kennels and try to ensure the dogs are trained as much as they can in the small run and kennels that they are confined to. Some dogs are brought back via Spain which being part of the pet travel scheme means that our dogs can return to the UK without suffering from six months incarceration. They will then be ready when the call comes to assist in the next major disaster. We must remember that quarantine serves a very serious purpose and normally all dogs not covered by the pet passport scheme should serve their time in isolation to save our country from the very nasty rabies disease. Search and Rescue dogs do not mix with other animals they travel in the constant companionship of owners and handlers. They do their job and then they come home. Consequently the six month quarantine period for them is not just harsh but effectively stops them being available if another disaster befalls the world while they are still sitting it out in a quarantine establishment.